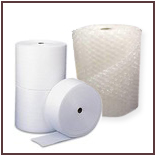 Plastic Bags, Static Shielding, Poly, Bags, Anti-Static Bags, Corrugated Boxes, Corrugated Shipping Materials, Foam Packaging Supplies, Bubble Cushioning, Pressure Sensitive Tapes, Packaging Tapes & Strapping Supplies, Fullfillment Services - Nem-Pak LLC. Your Specialist for Industrial and Commercial Packaging and shipping supplies. NEM-PAK, LLC are Distributors for packaging and shipping supplies including but not limited to: boxes, bags, tapes, foam, foam-in-place, strapping, cushioning, cartons, staples, stretch, packing lists, industrial & shipping supplies and tools, janitorial, paper products, carton sealing, matting and janitorial supplies. We also specialize in machine shop and cutting tool supplies along with Industrial and MRO supplies. 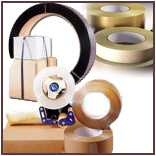 At NEM-PAK we can solve any of your packaging needs. With our staff of fully trained individuals and high quality supervision we can help you get your products from point A to point B, efficiently, safely and on time. We hope that NEM-PAK can help you meet your packaging and shipping needs. To learn more about NEM-PAK call us at 215.785.6430 to speak to a NEM-PAK representative. 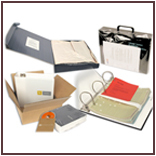 We are packaging and fulfillment experts. At NEM-PAK our shipping rooms can meet the requirements of your products' packing, packaging and shipping needs. Our highly trained staff can bring an end to your shipping headaches and take full charge of the job. 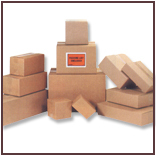 Foam-in-place, At NEM-PAK we can custom design your foam-in-place packaging to meet your products needs. Need to know more about this service...can link to inside page with more info about Foam. Janitorial Supplies from NEM-PAK. We can provide your company with janitorial and sanitary supplies from the finest manufacturers. Food Service Products from NEM-PAK includes but not limited to: Styrofoam cups, paper drink cups, plates,bowls, plastic baking utensils, plastic wrap, aluminum foil, dispensers, tubs and squat cups, conical cups. 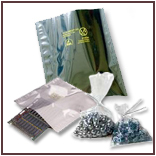 NEM-PAK offers both manual and automated shrink wrap systems and films.